Lock in a great price for Holiday Inn Express Marseille Saint Charles – rated 8.4 by recent guests! Good location, good breakfast and very good staff. The hotel is a regular—amazing—Holiday Inn hotel with excellent facilities and great service. The people at the hotel were nice to help us store the luggage until it was time to check in. The breakfast was incredible. The view we had of the Vieux Port was spectacular and the amenities in the room excellent. Hotel was just across the street from the train station. very convenient when traveling by train. I like employers there ,spicaily in reception, they are so helpful , wealcoming, always smiplying , and they do them best the satisfay the clients. Good location if you have an early train. Excelent breakfast included. 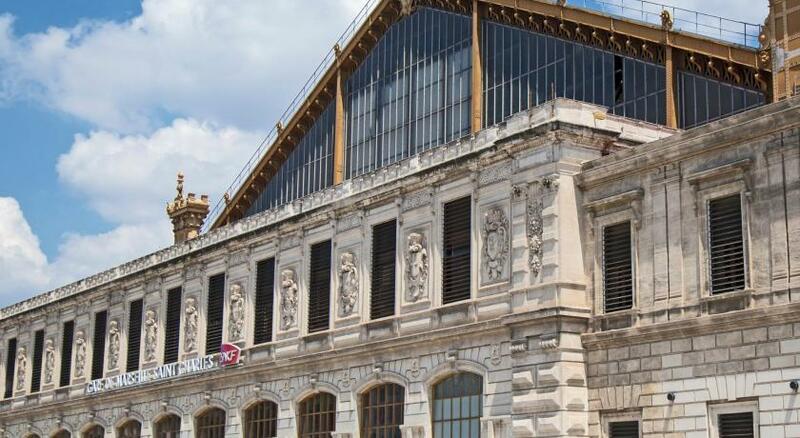 Holiday Inn Express Marseille Saint Charles is opposite the train station and a 10-minute walk from the Vieux Port in Marseille’s city center. It offers rooms with attached bathroom and free Wi-Fi. 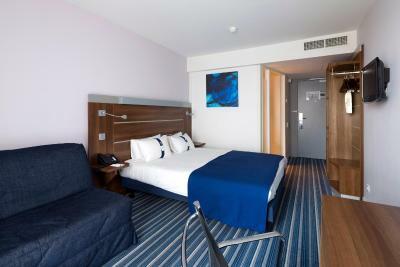 Rooms at Holiday Inn Express Marseille Saint Charles are soundproofed and feature a modern décor. Each is air-conditioned and equipped with a flat-screen TV with satellite channels. A complimentary breakfast is offered and Le Mistral bar serves light meals. Guests can relax on the outdoor terrace. Additional facilities include a 24-hour reception desk and a laundry service for an additional charge. Saint-Charles Metro (lines 1 and 2), provide direct access to Parc Chanot and the city center. Accessible from the A7, the hotel also offers private parking for an additional fee. 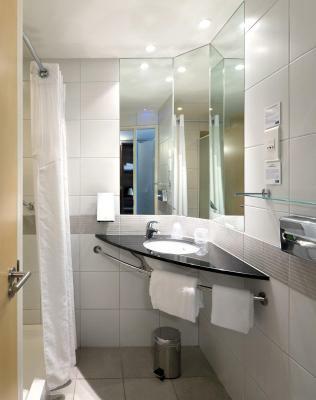 When would you like to stay at Holiday Inn Express Marseille Saint Charles? Rooms include a flat-screen TV with satellite channels and on-demand movies. They also have air conditioning. Please note that the requested bed type for this room (1 double bed or 2 single beds) is subject to availability. An outline of the Holiday Inn Express. Come to our hotel to get away from it all with a warm welcome! The Holiday Inn Express satisfies all desires: situated in the city center, close to the Vieux Port and commercial centers, in front of the train station. Enjoy your stay in one of our comfortable rooms! House Rules Holiday Inn Express Marseille Saint Charles takes special requests – add in the next step! Holiday Inn Express Marseille Saint Charles accepts these cards and reserves the right to temporarily hold an amount prior to arrival. Please note that the maximum height for cars in the car park is 6.6 feet. Some facilities in bathroom are a bit dated. Very close to train station, excellent for tired travellers. Lots of choice for breakfast. Unfortunately we found the express not to be anywhere near the standard of what I know of Holiday Inns . The bedding was not white but grey , the walls in the hallways ware badly marked and could do with a clean and a touch of paint . The net curtains looked awful and one just felt itchy straight away , more probably the imagination but that’s how we felt . Yes it’s cheap and yes you get what you pay for but do not expect a good standard of room . The location isn’t great to find as it’s on a very busy main road, so if driving bear that in mind . Could do with better signage lower down on the building . So we cancelled and moved down to the port and a more expensive hotel . Parking was good to have , pre book though . Staff where helpful and understood why we needed to move . Don't have anything on that. The duvet was on the small size for such a large bed. Some toiletries in the bathroom would have been appreciated. Very close to railway station from which we arrived and departed. Friendly staff. Good buffet choice for breakfast. Clean room. Tables in dining area needed management to have space for all guests. Hard to do at 9 am. Room was not very noise resistant.. They had a nice breakfast, location was perfect for me! This was an excellent location directly across road from Gare St Charles. We arrivef and left by train. The staff locked our luggage away so we could explore the city and then get our luggage to cross the road to the train station. The breakfast was generous and included in the price. The room price was excellent for an overnight stay.